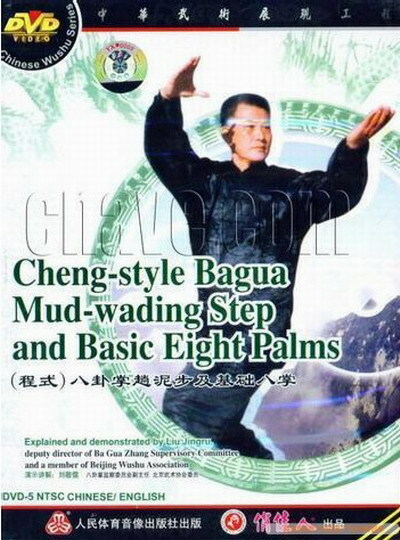 The program contains the performance of major hand forms and weapons of Cheng-style Bagua Zhang school, allowing viewers to appreciate the essentials of this internal style. Click picture for more info. This disk contains 4 parts and 35 Swords on Ba Gua Sword. 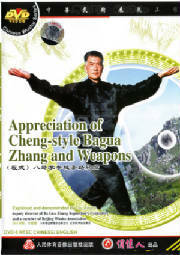 Explanations on the characteristics of the Ba Gua Sword and the methods and usage to practise it are involved. 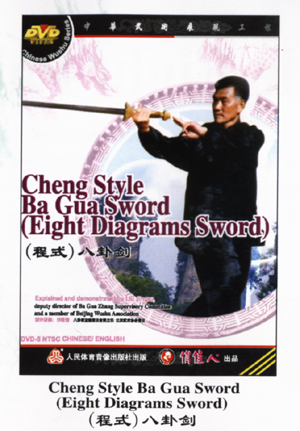 The Eight Diagrams Sword , which can enhance the practitioners' health, is one of the important weapon of Eight Diagrams School. Click picture for more info. This disk contains four part and 35 movements on Bagua (Eight Diagrams) Interlink Palm with Swimming Body in which the movements are the interlink of Basic Eight Palm and Eight Palm. 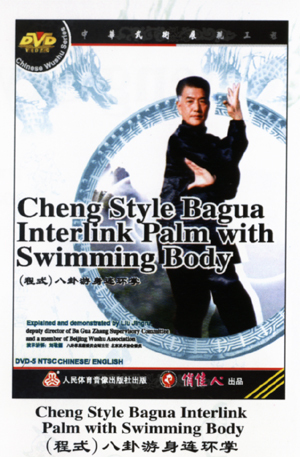 Bagua Interlink Palm with Swimming Body is suitable for performance and competitions ,for its movements are stretchy, as well as firm but gentle. This program contains two parts. Part I introduces the fundamental footwork---Mud-wading step. There are straight step, wriggling step and circular step. Part II introduces the basic palm techniques. There are eight basic palm methods including "Fierce tiger goes out of mountain", "Roc Spreads Its Wings", "Lion Opens Its Mouth. For more information on Bagua and to check out our free articles and resources for this style please take a look at the Bagua section of our main site! Qi Gong for Long Life and Youthful Vigour!